High Flyer, originally uploaded by ZackTwin. 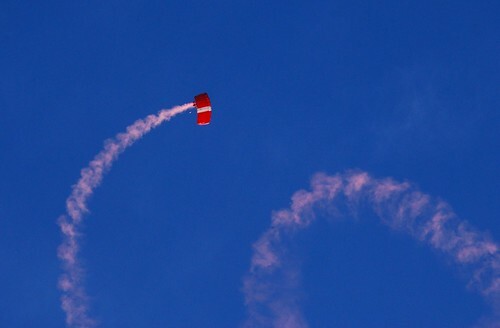 Parachuting exercise for Singapore National Day Parade 2012; it'll be on 9 Aug 2012. Taken on the way from The Gardens by The Bay to Marina Bay Sands.